Santa's loading up his sleigh - time to put some merry in your holiday! From crafts and party supplies to gifts, classroom ideas, candy and stocking stuffers, the Christmas Store at Oriental Trading is ideal for spreading holiday joy. Oriental Trading is your holiday headquarters for toys and games, treats, crafts, Christmas party decorations and supplies. Find the perfect Christmas ornaments, Santa costumes and accessories too! Looking for Christmas crafts? Get creative with fun and easy Christmas Crafts for kids, homemade Christmas gifts and DIY Christmas gifts for kids and adults. Find great Christmas craft ideas for kids and adults and have fun preparing for the holiday season! Create DIY Christmas ornaments for your tree plus handmade Christmas decorations and Christmas craft ideas for the classroom. 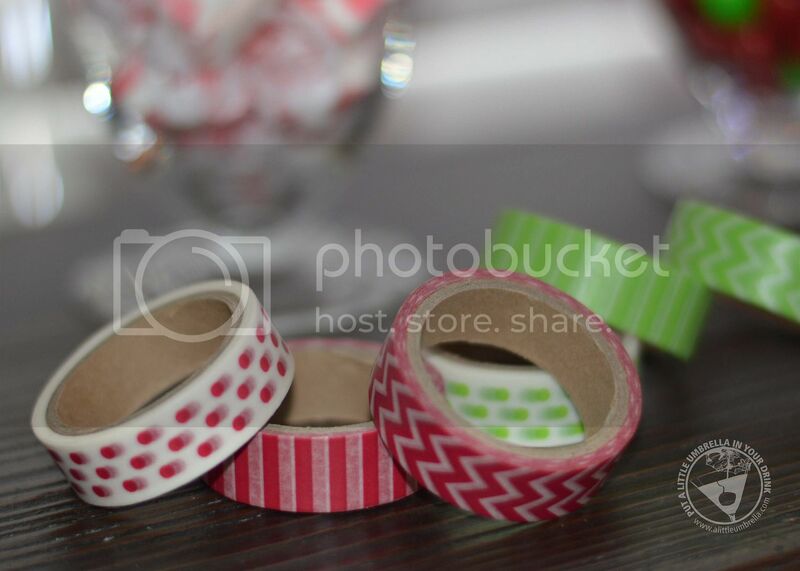 I decided that I must have this Green Washi Tape Set and Red Washi Tape Set. Both are perfect for jazzing up the edges of your scrapbooking projects, or adding it to your arts and crafts projects. 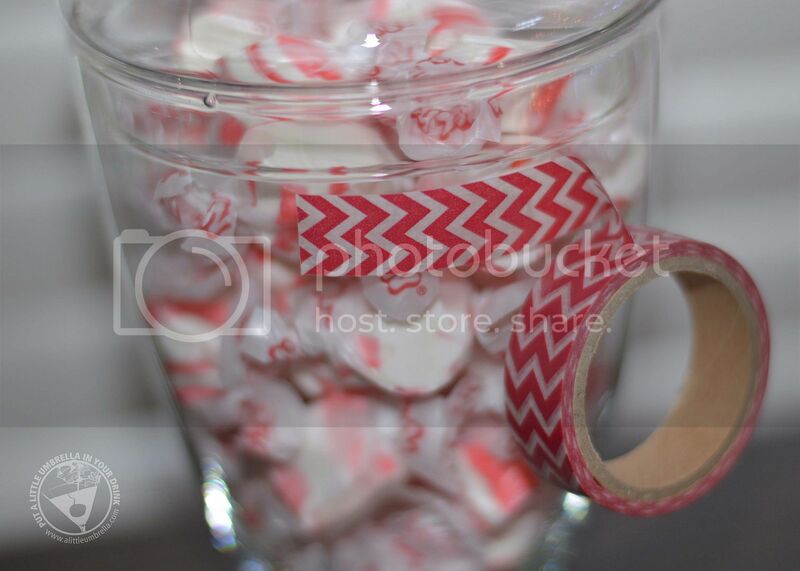 This perfect go-to supply includes chevron, polka dot and stripe patterns in holiday colors. The possibilities are endless with washi tape and it has become one of my favorite craft accessories by far! 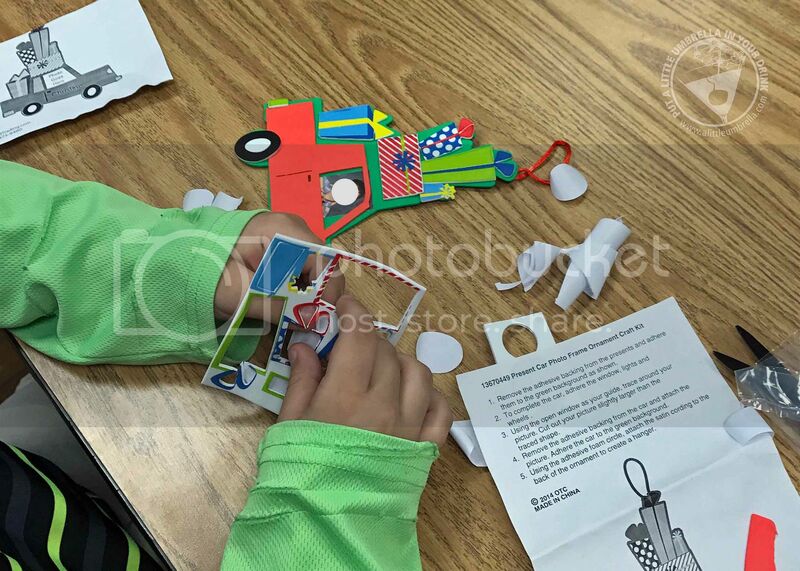 Kids love to make holiday crafts too. I decided to get some Christmas Ornament Crafts for my students to make. What I like about these sets from Oriental Trading, is that they are simple and fun to make. Find foam ornament kits, Magic Color scratch ornaments, craft stick ornament kits, wooden Nutcracker ornaments and the perfect DIY holiday ideas for kids. With over 300 ornament crafts to choose from, you're sure to find the perfect craft kit for your kids to create and give handmade Christmas gifts this holiday season. 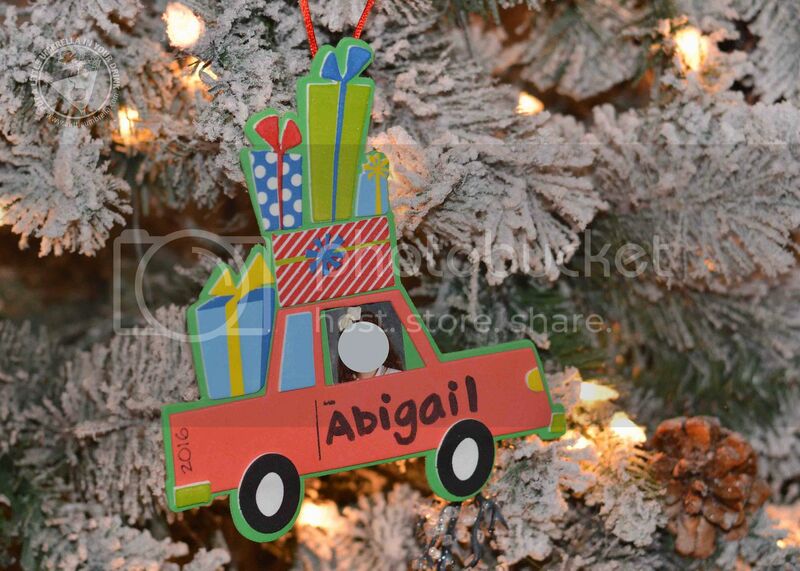 I decided to go with the Car with Presents Picture Frame Ornament Craft Kit. I thought that these adorable DIY Christmas ornaments would conjure memories of packing the car with Christmas presents and making holiday memories with family. 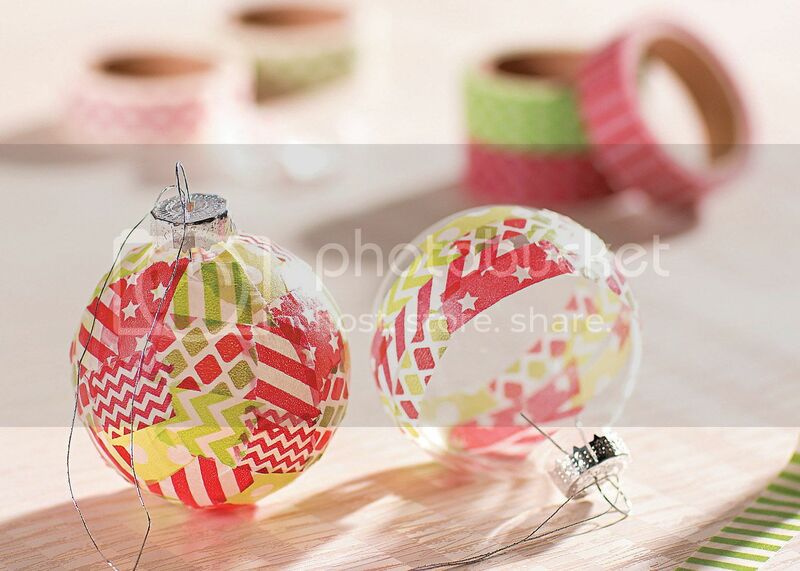 These ornaments feature a 1 1/2" photo space to house your favorite Christmas picture. All craft kit pieces are pre-packaged for individual use and even include instructions! My students had a blast stacking up the Christmas presents and bringing these foam shapes to life on the Christmas tree! I had them personalize this DIY Christmas ornament with a permanent marker for an extra special touch. 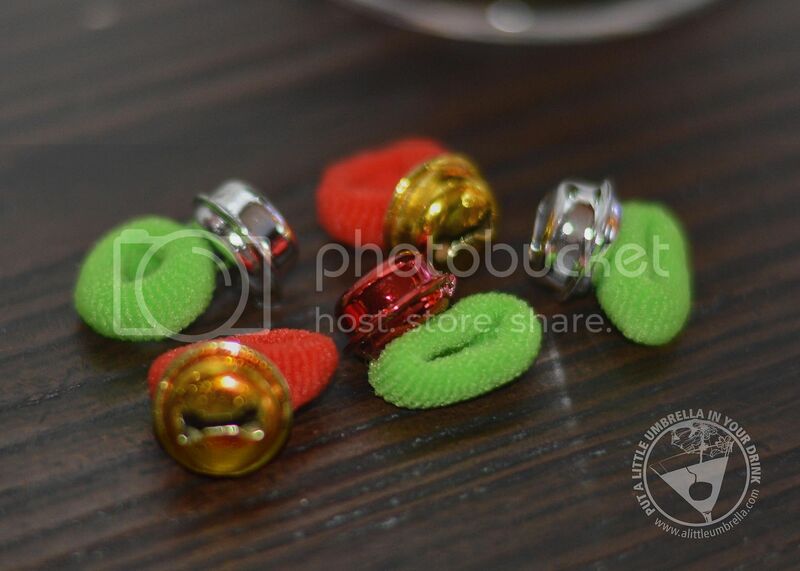 The kit includes self-adhesive foam shapes and satin cords. My third graders were able to assemble it with very little help from me! They turned out adorable. Oriental Trading has everything! You can even find Novelty Christmas Jewelry. Fun and inspirational Christmas jewelry for kids and adults is always a hit. Check out the selection of charm bracelets, Austrian crystal angel pins and more. Christmas jewelry makes the perfect stocking stuffers and thoughtful party favors for Christmas parties. 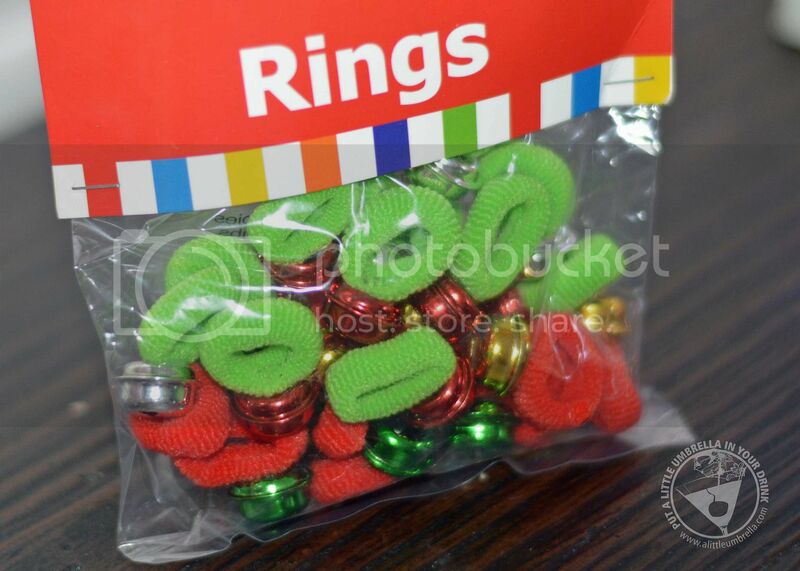 I decided to get my students these find holiday stretchy jingle bell rings. Ring in the holidays! These comfortable jingle bell rings are a quirky, whimsical way to add color to your Christmas wardrobe. Wear one on every finger! They're fun and festive giveaways for kids - make some yuletide music as they work in the classroom. These stretchy rings are also perfect party favors and stocking stuffers! How does your holiday table look? 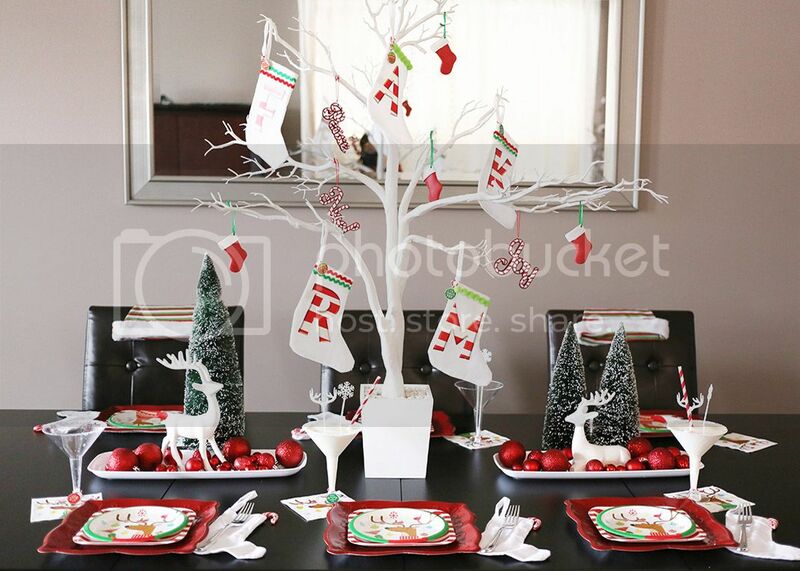 Create a beautiful table this holiday with Christmas Centerpieces from Oriental Trading. From cheery tissue paper creations, to sparkling tree or star centerpieces, and even floating candle creations, there's a centerpiece to grace every kind of holiday table. You can opt for an already created centerpiece, or mix and match to create your very own look. Either way, you'll have a beautifully decorated table. From party eats to stocking treats, candy makes your holidays a little sweeter! So I decided to try the candy buffet trend with this Glass Jar Set. 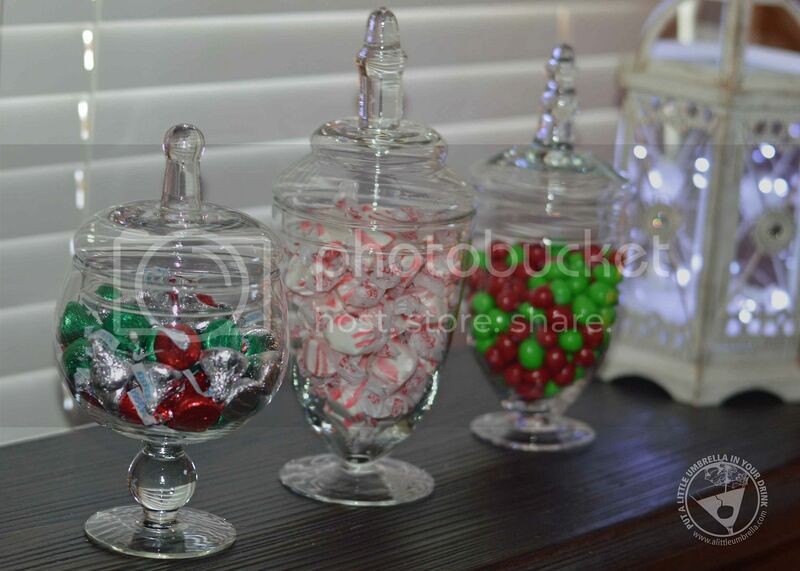 I filled these simple and elegant small jars with candies and taffies in holiday colors. I love how they turned out. They're pretty, reusable and a wonderful way to serve goodies. The jars with lids come in 3 sizes: 8 5/8" 16 oz., 9 1/2" 21 oz. and 11" 24 oz. and you get three jars per set. 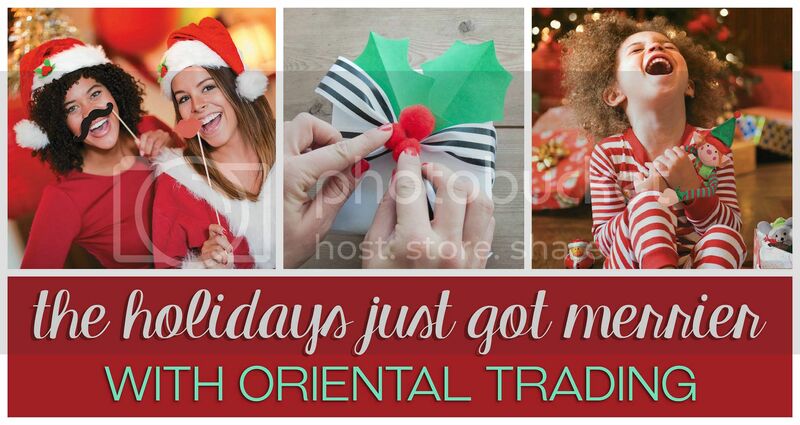 Connect :: Visit orientaltrading.com to find everything you need for the holiday season including crafts, toys, decor, and more! You can also find Oriental Trading Company on Facebook, Twitter, and Pinterest.